Kate Newlin, principal of Kate Newlin Consulting, is a business strategist working with senior executives at critical crossroads in the development of their brands, categories, and portfolios. She uses a three-step methodology respected for its ability to surface unmet consumer needs that provide strategic competitive advantage for her clients. Prior to launching her own consultancy, she was president of Faith Popcorn’s BrainReserve, a trend-based marketing consulting firm. During her career, she’s worked with a broad cross section of the Fortune 500 and entrepreneurial firms, including McDonald’s, Pennzoil/Quaker State, Kraft, Hasbro, Cigna, GE Capital, Guthy-Renker Corporation, Specialized Mountain Bikes, Waldenbooks, and LensCrafters. She began her career in business with a variety of New York-based agencies. 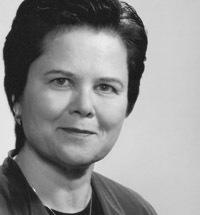 By 1983, she was the youngest executive vice president and global creative director of a major firm, advising The Procter & Gamble Company, S.C. Johnson Wax, Godiva Chocolatier, Weight Watchers International, Waldenbooks and scores of other major consumer products companies and retailers on issues of business and marketing strategy. In 1986, she started her own practice, which she sold 10 years later in order to become president of Faith Popcorn’s BrainReserve, a consultancy which focused on emerging trends and issues about to be faced by global business. In 2001, she left BrainReserve to start her own firm, dealing with near-term issues of business strategy. Throughout her career, she has become known for strategic insights that can be developed by businesses to make a powerful difference in the consumer experience and the companies’ balance sheet. 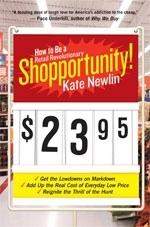 In her book, Shopportunity: How to Be a Retail Revolutionary, Newlin dives inside the world of making and marketing American brands to call for nothing less than a total re-imagination of the process through which we acquire goods and services. Newlin lives in New York City with her daughter, Mattie.